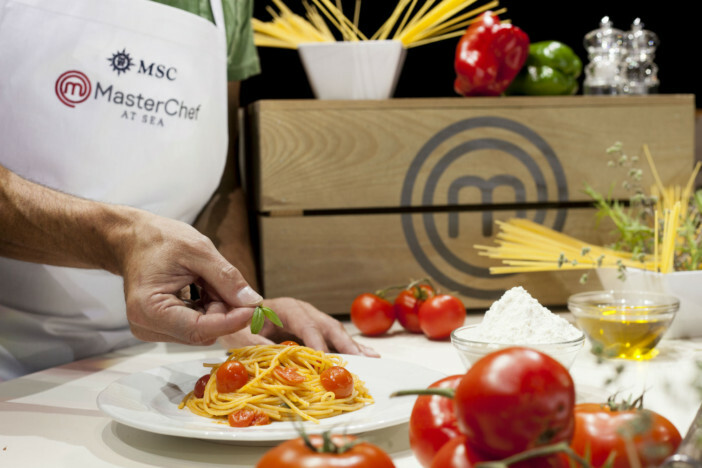 Guests aboard the MSC Cruises fleet may soon get the chance to test their cookery skills against the rest of the ship, as the cruise line rolls out the MasterChef at Sea programme. Guests will be given the chance to join the competition during their sailing, and will be presented with a mystery box full of ingredients to cook with – much like the format of the TV show. The ship’s executive chef will then judge the best entry based on what they cook, crowning one winner per sailing. The chef will be judging each dish based on originality, skill, presentation and taste – separating the Michelin Star-worthy chefs from the rest of the pack. The winning chef will then receive a MasterChef prize on board the ship, and will be entered into a prize draw with all the winners from other sailings with the chance to win an exclusive meal cooked by a MasterChef star. The lucky winner can choose to either have their prize meal cooked at their home or at a local venue. In addition to this, winners will also receive a collection of 50 MasterChef recipes and the opportunity to enter into the official casting process for the MasterChef TV show. The competition for places on the MasterChef TV show is absolutely fierce, so this prize will be hugely sought after by would-be chefs looking for a step up into the big time. The entry is only open to certain participating countries though, including the UK. CEO of MSC Cruises, Gianni Onorato, said: “This latest addition to the onboard entertainment has been created in partnership with MasterChef, one of the world’s most well-known food lifestyle brands to help bring an experience for our guests that combines a global passion for food with immersive entertainment. MasterChef at Sea has been rolled out on the MSC Splendida, and is set to debut on MSC Meraviglia, MSC Magnifica and MSC Armonia before the end of September. The rest of the fleet is expected to receive the programme by the end of 2017. This is not the cruise line’s first link with the cookery show – the former MasterChef Italia judge, Carlo Cracco, oversees MSC Cruises’ food offerings and hosts a weekly gala dinner on board MSC Meraviglia. If you’re interested in trying your hand at MasterChef at Sea and fancy booking your place on an MSC Cruises journey, head over to our dedicated page here. Alternatively, call our friendly sales team on 0808 274 6777. MSC Cruises announces they will be hosting MasterChef at Sea, an on-board cooking competition for all guests to partake in.